It’s been awhile since I have done a “serious” post but with last Saturday, August 1, marking our Emancipation celebrations here in Jamaica, I began reflecting on a few things & decided to put thoughts to blog. It’s the time of year when we Jamaicans are suppose to reflect on the struggles of our ancenstors & celebrate their victories & our freedom. I definitely appreciate the sacrifice of heroes like Sam Sharpe, George William Gordon, Nanny & Paul Bogle. I admire the bold steps they took to ensure that I am able to live the life I choose. I am not sure I would have been brave enough to make the sacrifice they made. While I reflect, honour & celebrate what my heroes have done, I am in the same breath disheartened because I question every day if we truly are emancipated in 2015. Ever since the murder of Trayvon Martin, I have worried everyday about my 3 brothers who live in the states. The recent spate of police brutality towards Black Men & Women have not made my concerns any better. I fear that just like it was before 1838, Black people are again being forced into modern “servitude” simply to preserve our lives. Living on this side of the world automatically means that you are going to be exposed to every facet of American culture.. the good…the bad & the ugly…. I will not even touch on the way they treated the little psycho boy who MURDERED the church members in North Carolina compared to ALL the unarmed black people they assaulted. 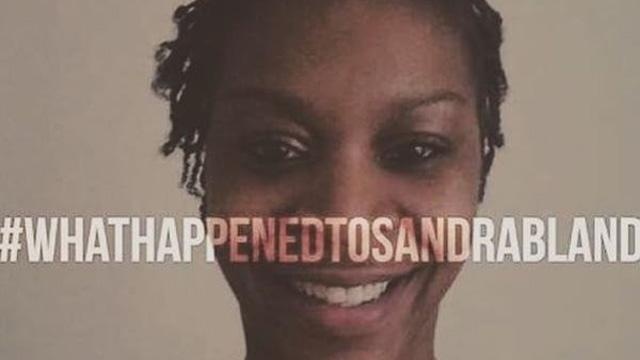 Whenever I think about what happened to Sandra Bland I cringe because I am a feisty black woman, especially when I feel threatened, so I know if I were in her position I would not have been calm at all but does that mean that I should be assaulted by an officer or thrown senselessly in jail? Here at home you would think that in a predominantly black country where the white population is minimal that race is not an issue & that is quite true. What we have here are persons who are still stuck in pre- independent Jamaica, who believe that skin tone should be directly proportional to ones standard of living. There are many nice educated gentleman here who only date “brownings.” In fact, my friends & I have a running joke that a Jamaican man’s success is directly proportional to his lady’s skin colour. As they move up the ladder of success their spouses’ skin colour usually gets lighter & lighter. I am sure that is not what Sam Sharpe fought hard to have his ancestors settle back into the colonial mindset? I know I wrote this post from a black perspectives but I truly believe that there needs to be a paradigm shift. We need to truly cut ties with the dark elements of our past & move towards the future with an understanding that we are all valuable components of this world. We need to change our mindsets & release the hate & prejudices that society forced on us through socialization. With that said we (myself definitely) need to heed the advise of reggae superstar Bob Marley…. Next Happy Birthday My Beloved…..